Ships tomorrow if you order in the next 23 hours 7 minutes. Kefir is an ancient, cultured, creamy food whose name means "feel good" in Turkish. It is often compared to yogurt, as both are filled with probiotics. But, kefir contains more strains of bacteria, as well as strains of yeasts. There are two types of kefir grains, milk kefir and water kefir, both of which have many health benefits. 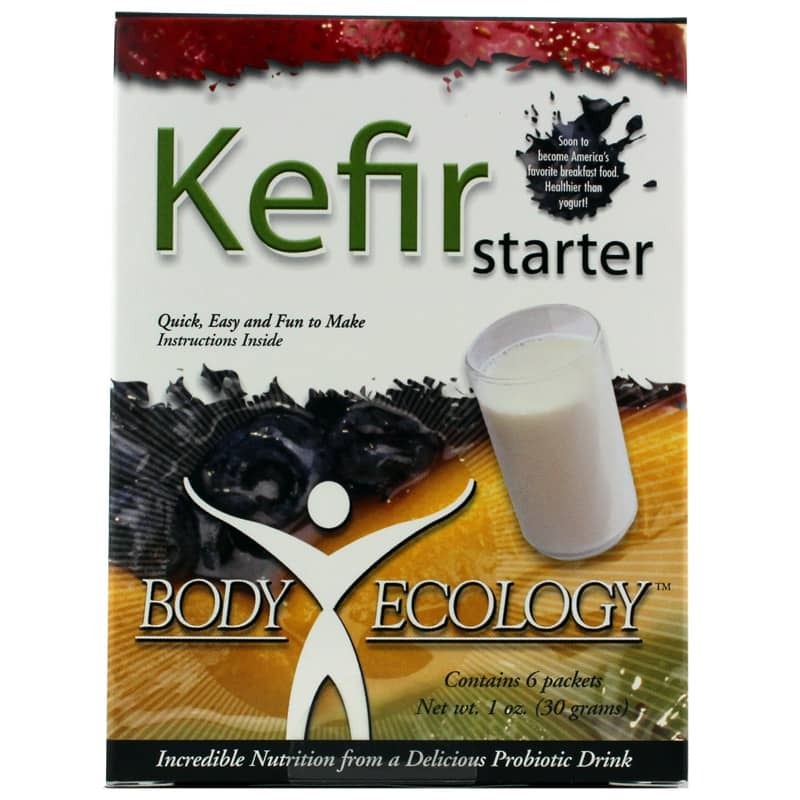 Body Ecology offers a nutritious probiotic drink starter called Kefir Starter that supports the digestive and immune systems. This product contains a variety of beneficial bacteria, including Lactococcus lactis, Lactococcus cremoris, Lactococcus diacetylactis, Leuconostoc cremoris, Lactobacillus plantarum, Lactobacillus casei, Saccharomyces boulardii and inulin. 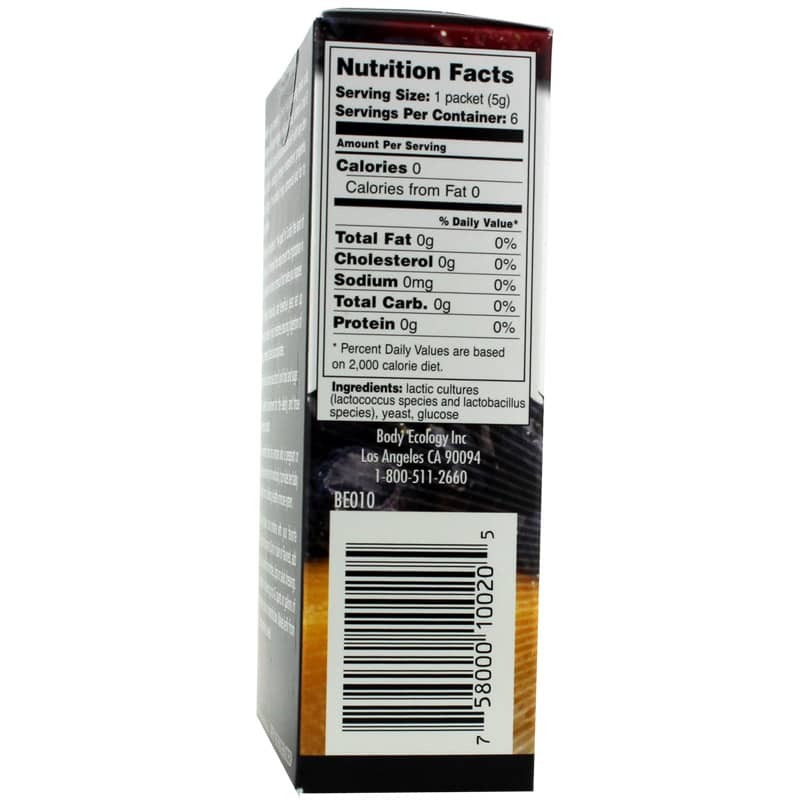 It is free of gluten, GMOs, soy, and artificial colorings, flavorings and preservatives. The box contains six packets that can be used an average of seven times each. If you're looking for a nutritious probiotic drink starter that supports your digestive and immune systems, check into Body Ecology's Kefir Starter. Order online today! Ingredients: Lactic cultures (lactococcus species and lactobacillus species), yeast, glucose. Take one packet and combine with your favorite milk. Drink it plain or flavored, add fruit, or use it as a base for smoothies, dips or salad dressings. 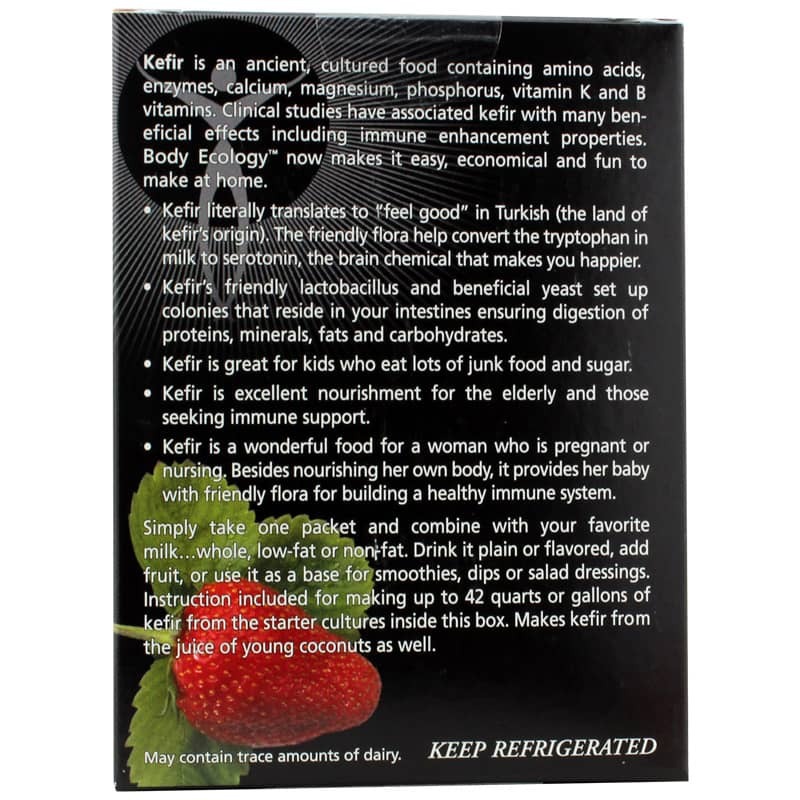 Instructions are included for making up to 42 quarts of kefir from the starter cultures in this box. Makes kefir from the juice of young coconuts as well. Keep refrigerated. We making vegan kefir and with this product it's amazing.